New online facility to design and order your glass stair balustrade panels online. 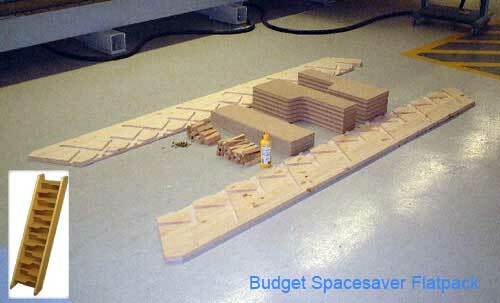 Calculates single and multiple panel scenarios. 8mm and 10mm Toughened glass panels available. 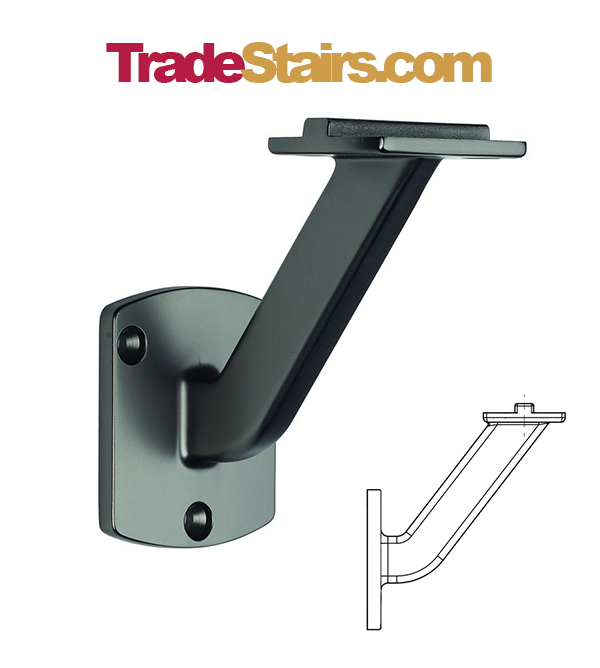 Have the glass to sit into a grooved handrail and baserail or mounted on Stainless steel glass brackets. Click here to go to the New Online Glass Planner. 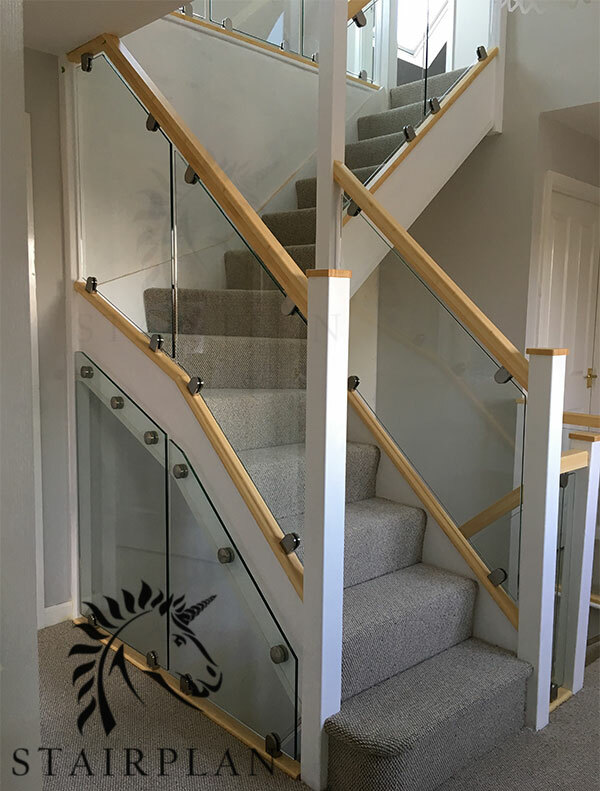 We can offer custom glass staircase balustrade panels complete with our on site measuring service. 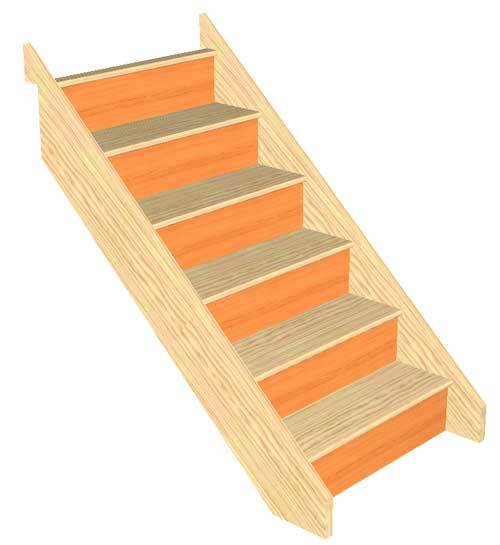 email photos of your staircase and landing areas together with your location for a quotation. 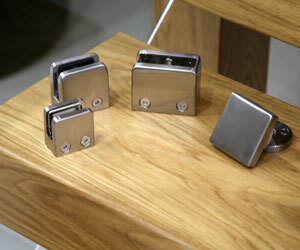 We do have a measuring service available for the vision glass staircase and landing balustrade panels. 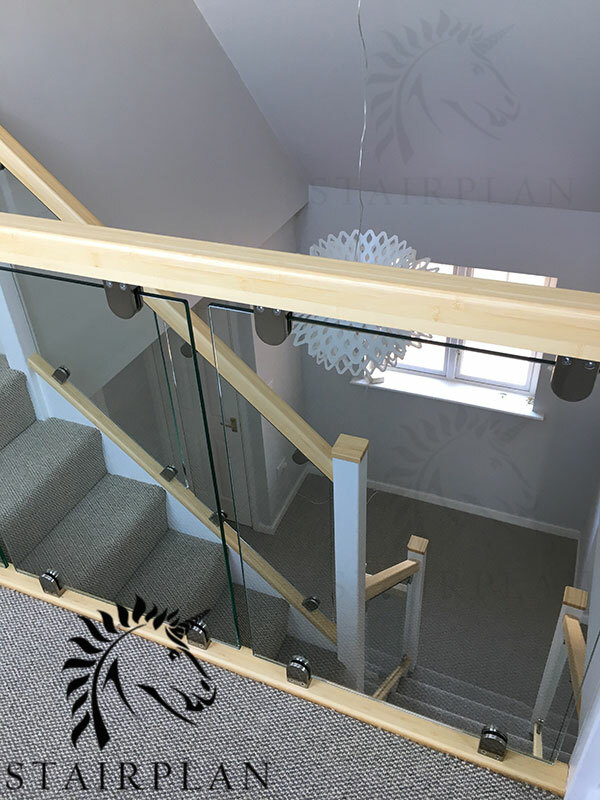 to get prices for your stair glass and this service please email us photos of your staircase and landing balustrades together with your location for a quotation. 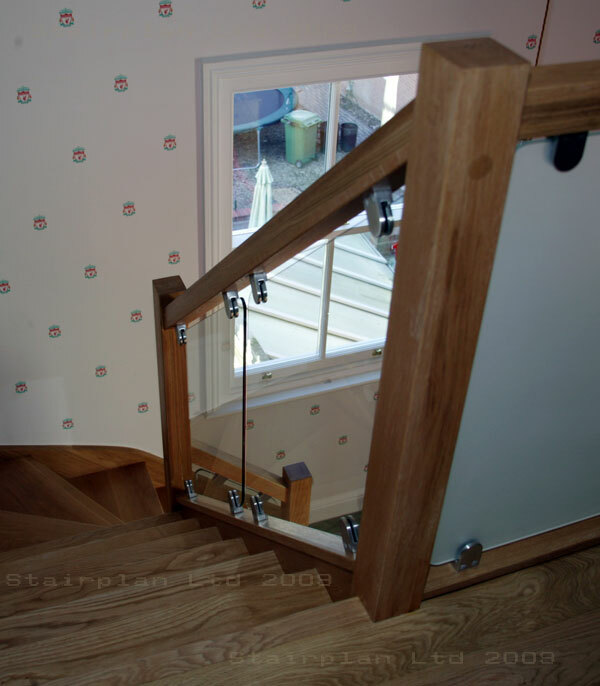 The Glass Sits in a Grooved Oak Handrail and Baserail profile. 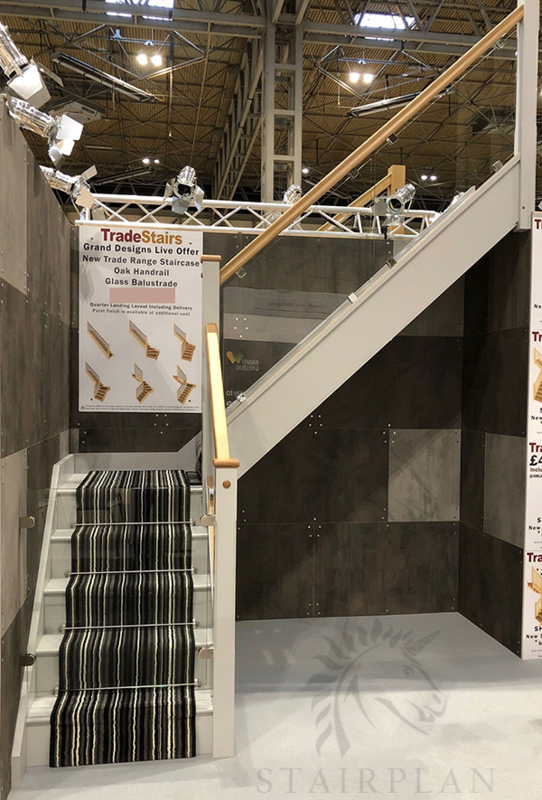 Low introductory pricing on our new stair model " New Trade Range with Glass" staircase specification. 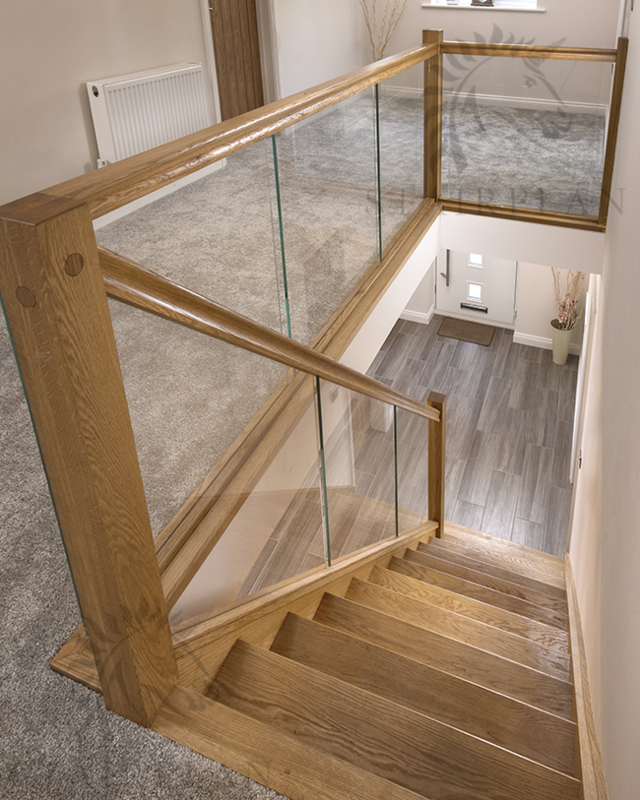 Prices start for a New Staircase with the Glass Balustrade to one side at £659 Ex VAT for a straight staircase , up to 13 risers and up to a width of 900mm including strings. 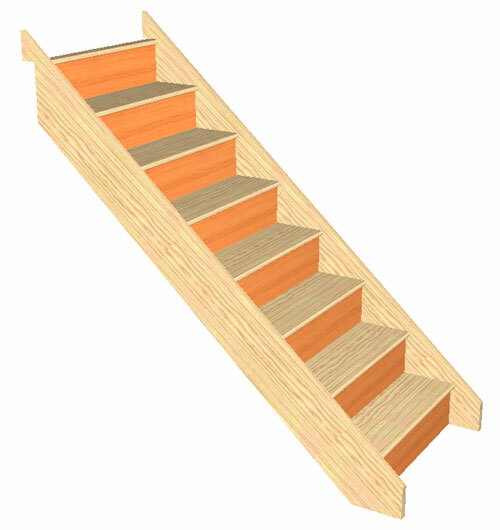 Winder Staircases start at £659 ex VAT also depending on layout and the number of newel posts required. 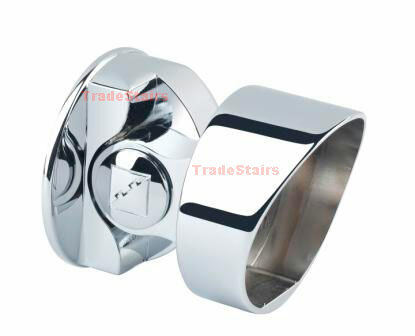 Email your enquiry to sales@tradestairs.com - Ref New Trade Range with Glass staircase.